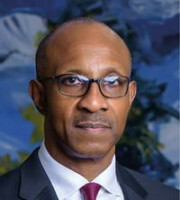 Theophilus Emuwa is the managing partner at ǼLEX. He heads the IP and M&A practice groups at the firm. Mr Emuwa is qualified to practice law in Nigeria, Ghana, England and Wales and is also a qualified mechanical engineer. He has over 30 years of experience representing clients on a variety of IP matters. He has broad-ranging knowledge of intellectual property with particular experience in trademark registration and opposition, patents, copyright infringement and franchising. Mr Emuwa has drafted several shareholders’ and joint venture agreements and regularly advises on Nigerian corporate structures, shareholder rights and other corporate governance issues. His recent IP and franchising experience was brought to the fore when he advised Coca-Cola Company on the acquisition of 40% equity in CHI Limited, a leading producer of juice and value-added dairy brands in Nigeria. Mr Emuwa is an active member of INTA and was on the editorial board of the Trademark Reporter, a journal of INTA, for many years. He is the author of the Nigeria section of the International Annual Review of Trademark Jurisprudence (also published by INTA) and a member of the Intellectual Property Law Association of Nigeria. Mr Emuwa is also a member of the intellectual property, communications and technology law sections of the International Bar Association.